A 10-part class that helps create peace of mind, happiness and freedom. A money mantra and eight specific techniques are used to develop prosperity and abundance in your life. Basic Quantum Prosperity starts with explanations about how the program works, and the research that went into developing it. There are discussions about true quality of life, relief from struggle, peace of mind, happiness and freedom. A powerful money mantra is explained, followed by a series of eight specific techniques for developing prosperity and abundance. 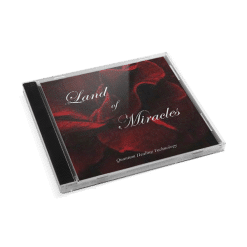 The program includes the use of Quantum Healing CDs, a hyper-dimensional technology that chips away at money blockages in your consciousness, and a specific protocol for their use. Basic Quantum Prosperity #1 – How It Works: This video explains how the overall program of Quantum Prosperity works, including the research behind the project, how it was founded, and how it took 9 years to finally get the necessary understandings to help anyone break through their issues of prosperity. It’s not just a manifestation training, because quantum healing has to do with the wholeness of creation and source energy. Everything is energy, and shifting consciousness is the ultimate secret. Increasing prosperity can be accomplished by anyone. It’s consciousness that actually determines your income. Shad explains what consciousness is, what hidden beliefs in the subconscious are, and why your life unfolds the way it does. Basic Quantum Prosperity #2: Quality of Life – This class covers: New Levels of Self-Awareness, Habits, Reprogramming the Subconscious, Opportunities in Life, The Resonance of your Vibration, Financial Entrapment, Attention and Mental Focus, Energy Redirection, A Feedback Mechanism, Creative Energy, The Past and Now, Positive Flow, Opening Up to Unknown Possibilities, Realizing What You Really Want, Peace of Mind verses Struggle, Happiness and Freedom, The Consciousness Frequency of Prosperity, Always Having What You Need, Abundance as a Frequency, Prosperity verses Abundance verses Money, and Solving Problems. Section #3 of Basic Quantum Prosperity takes a look at money from a spiritual healing perspective. There are important pieces of information that you’ll want to keep in your notes for future review. There are some very deep understandings in this section that get to the core of shifting your consciousness into a life of prosperity and abundance. Basic Quantum Prosperity part 4 highlights several noteworthy concepts to help maintain consistency in your prosperity consciousness. This section also explains the significance of energy flow. This class covers: More Money Tricks, Abundance and Infinity, Use of Money, Feeling Money in the Now, Quality of Emotions, Breaking Through Financial Blockages, Being Engaged in the Prosperity Process, Responsibility, Hidden Beliefs in the Subconscious, Self-Sabotage, Conscious verses Subconscious Processing, Pleading verses Knowing, Need and Empowerment, Being Spiritual and Being Rich, Adapting to Physical Wealth, Continual Expansion, Choosing Positive Change, Conscious Transitions and Doorways to New Realities. In this class Shad explains What the Quantum Sensory Experience (QSE) technology is, How QSE Works for Prosperity, Additional Support for Financial Growth, Quantum Healing Fields, Hyper-Dimensional Healing, Chipping Away at Subconscious Negativity, Divine Intelligence, Processing New Vibrations, Integration of Change, Consistency, Forward Movement, Quantum Adjustments in your Aura and Energy Distribution. In this class Shad discusses: Solidifying Your New Foundation, Principles of Synergy, Locating Negativity, Clearing Out Blockages, Permanent Change, Shaking Up to Loosen Resistance, Negative Thought-Forms, Passive Release of Negativity, Relaxing into the Tension of Change, Generating Abundance without Struggle, Rebuilding Memory Pathways, Magnetizing Money, Impatience, Frustration, Peacefulness and Good Fortune. 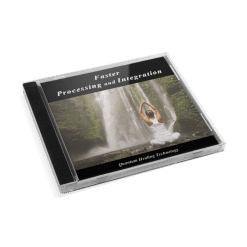 Topics include: Quantum Sensory Experiences, Re-patterning Negative Beliefs, Increasing Natural Flow, Upgrading Money Consciousness, Amount of Use, The Sequence of Using the Basic 5, Setting Your Foundation, Which Ones to Use When, Getting Stuck, Feeling Tension, Consistency and Momentum, Gentle Expansion, Practicing the Techniques and Energy Interactions. The Super Prosperity Bundle adds 9 additional CDs to the basic set of 5 for a total of 14 Quantum Healing CDs at a special discounted price. The benefits of each are quickly explained, while hearing samples in the background. The Mega Prosperity Bundle adds 12 more CDs to the Super Bundle of 14 for a total of 26 Quantum Healing CDs at a special discounted price. The benefits of each additional CD are quickly explained, while hearing samples in the background.